This is the code snippet for game TIC - tiny computer. Game created by Vadim Grigoruk. 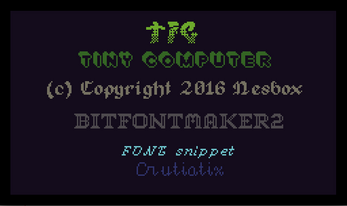 Created for everyone who want's to use various fonts in Its game created in TIC. 1. 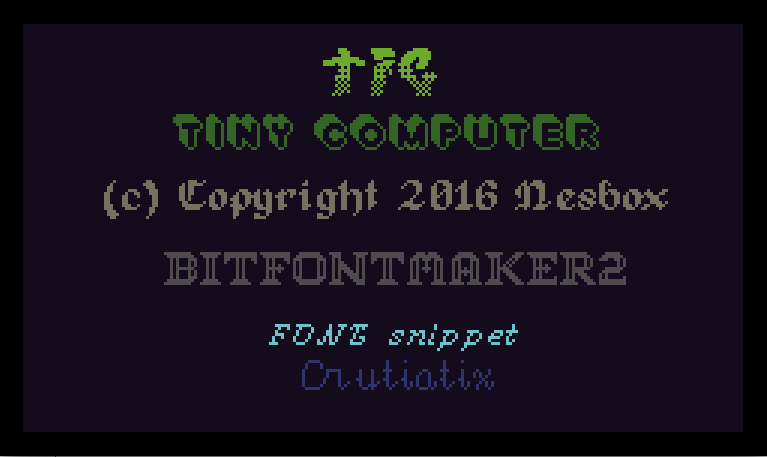 Create font at BitFontMaker2 or browse a gallery. 6. Copy the snipped from CODE section to your code.